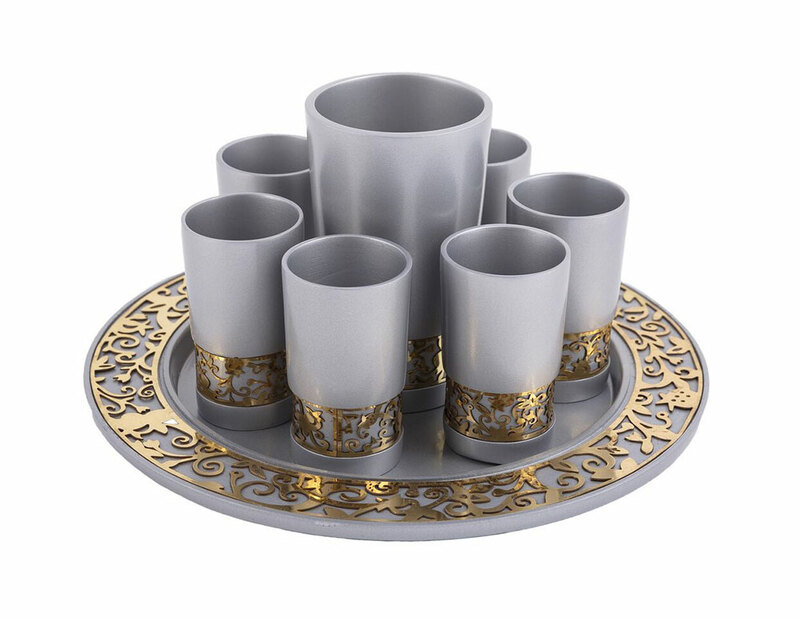 Modern Anodized Kiddush Set with magnificent metal cutout. Set includes Kiddush Cup, 6 matching small cups and tray. Made in Israel by Yair Emanuel.